It's another trio of awesome new releases from Sentai Filmworks. First up, we have the complete collection of the action-packed sci-fi epic, Horizon in the Middle of Nowhere. In this strange new world, humanity could very well be on the brink of extinction again. 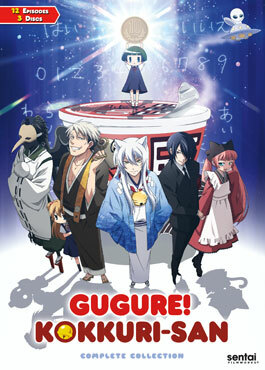 If you'd like to add something more light-hearted to your collection, Gugure! 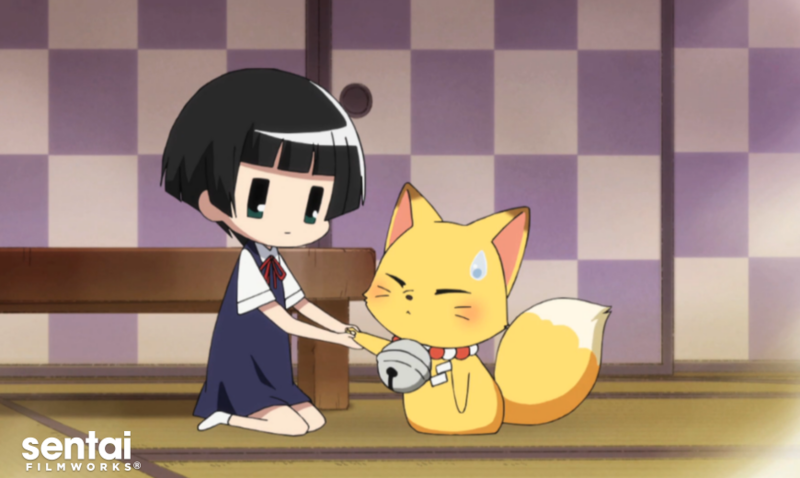 Kokkuri-san is now available on home video too! Just don't get between Kohina and her noodles. 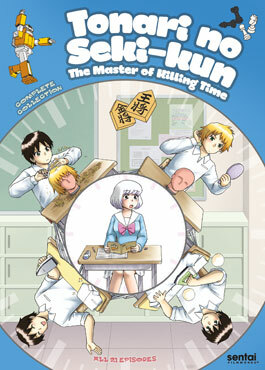 Last, but definitely not least, we have Tonari no Seki-kun: The Master of Killing Time. This bite-sized comedy is the perfect way to do more than just "kill time" on your end. Honestly, we could all learn a little something from Seki-kun! Which titles are coming home with you today? The stars were mankind's destination, but when humans returned from the sky, it was to an Earth where only the islands of Japan remained inhabitable. In this strange new world, the nations of the old Earth have carved Japan into new dominions, and humanity must follow the Testament, a guide to reenacting the events of the past, in order to reach for the stars once more. But as the nations vie for power, the old rule of might makes right comes into play. And even though each country has its own ultimate weapon, an Armor of Deadly Sins, there may be a far greater threat to mankind waiting in wings. Because the Testament ends abruptly, and its final year has arrived. 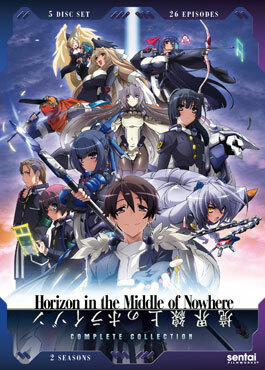 Is the end of humanity at hand or can Tori Aoi and his fellow students from the floating city ship Musashi somehow affect the course of destiny in HORIZON IN THE MIDDLE OF NOWHERE? Everyone knows that it's a really bad idea to play the Kokkuri game by yourself. After all, when you start randomly summoning ancient spirits, you never know what kind of ghost or oni might show up, or how long you may be stuck with them. Unfortunately, tiny Kohina does lots of things that are bad for her, including living on a diet of instant noodles. So when she decides to play the supernatural game alone, she's incredibly lucky that she summons Kokkuri. He may not be the most powerful fox spirit, but as soon as he sees the doll-like girl in a house filled with pasta, he knows that she needs a protector more than she needs a good scare. But fulfilling that goal is going to require more than just a Ramen Exorcism, because Kohina is a very strange little girl and it seems that Kokkuri isn't the only mystical being who's interested in her in GUGURE! KOKKURI-SAN!